Explore the sights of Vancouver. 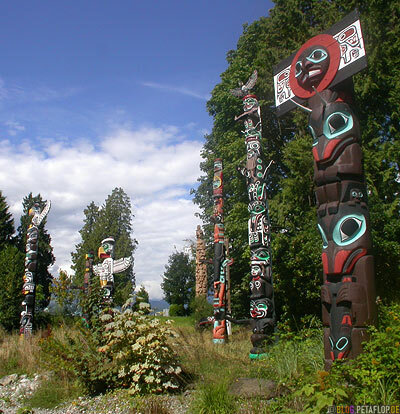 Take a hop on, off sightseeing tour starting at the 1,000 acre Stanley Park and a visit to Vancouver Aquarium, Totem Park and Prospect Point. Next visit Gastown, a charming neighborhood home to a number of shops and galleries, restaurants and coffee shops. Visitors can stroll along the cobblestone streets while enjoying a refreshing beverage in this historic neighborhood. Next visit ancient Chinatown outside of the park travel along the beaches of scenic English Bay, make your way across Burrard Street Bridge to Granville Island where you can enjoy a casual meal while taking in some street-side entertainment before touring the public market and the island’s famed artisan studios. Then take a return trip across False Creek back to downtown abroad a quaint False Creek Ferry to Yaletown, one of the Vancouver’s most vibrant and hippest neighborhoods. 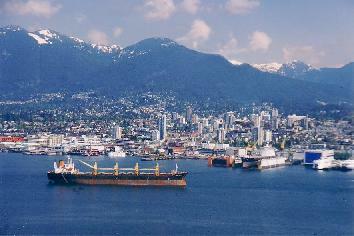 Visit Vancouver’s North Shore Mountains and explore the city’s great outdoors. the Capilano Suspension Bridge is located in the heart of the Vancouver’s Temperate Rainforest. Take a stroll along Treetops Adventure, and their newest attraction, cliff-walk before taking in native carving demonstrations. Next stop is Grouse Mountains– The Peak Of Vancouver, located a short distance up the road from the Capilano Suspension Bridge. Take the sky-ride to the top of the mountain, providing sensational views of the city far below. At the top, visit the Refuge for endangered wildlife featuring two orphaned grizzly bears, Birds in Motion demonstration, Lumber Jack show or take a ride up the eye of the Wind Viewpoint located 20 stories high. Zip-lining, tandem-paragliding and helicopter tours are also available.